A subject of special interest to almost every student of the Scriptures is that of time prophecy. Since the great resurgence of Bible study which began with the establishment of the various Bible Societies, much indeed has been learned about the time periods revealed in Scripture. But much confusion still exists...many conflicting ideas on Bible prophecy leave many with only vague or unclear views on the subject of God's arrangements. 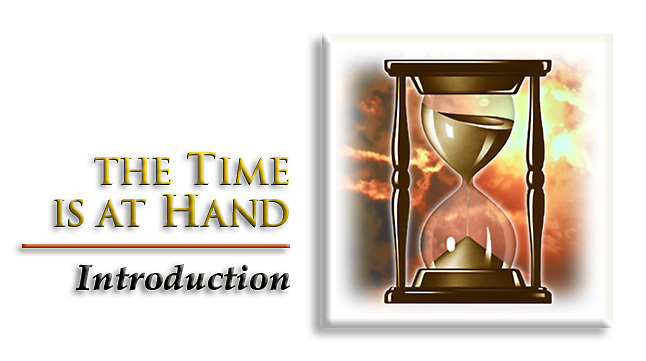 The Time Is At Hand prepares the student of the Scriptures to understand Biblical time periods and the prophecies related to them. It lays a thorough foundation for understanding world events today and a clear vision of the outcome of present world conditions.